(Gateway Pundit) – A heckler in the first row interrupted the kickoff of Bill and Hillary Clinton’s national speaking tour and snoozefest. The heckler accused the Clintons of being “boring” before being hauled off by security. 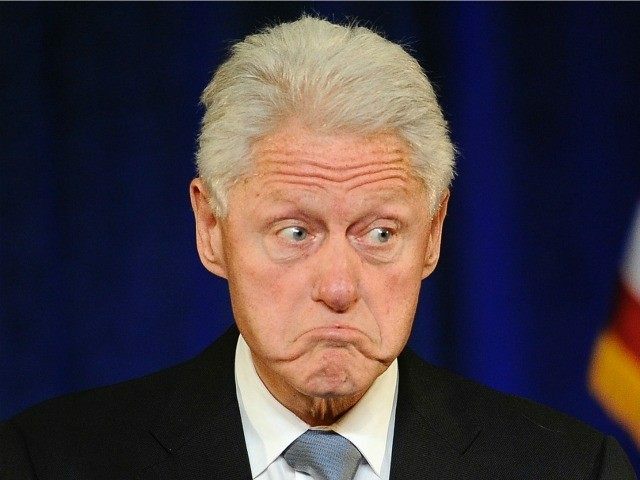 The heckler was screaming at Bill Clinton about Jeffrey Epstein before he was dragged off.